Vorträge und wissenschaftliches Seminar zu Ehren der Errungenschaften der russischer Physiker L.D. Landau und S.P. Kapiza. From 18th to 19th October, 2018, a number of interactive lectures from Russian scholars with the support of Rossotrudnichestvo will be held within the frameworks of the “Days of Russian Science”. The (specialized) events are dedicated to popularization of the achievements of Russian Academic community. ● Interactive scientific-popular lectures of Russian scholars to a larger audience. We invite you, your teaching staff, researchers and students to become part of this interesting event, and to participate in the scientific discussion. Physicist, candidate of physics and mathematical Sciences (Ph.D. Princeton University, USA), senior researcher at General Physics Institute RAoS, leading researcher at the physics faculty of Moscow state University, associate Professor at HSE. Author of more than 30 scientific publications on optics and optical communications. I will cover the basics of quantum key distribution (QKD), discuss its main implementation difficulties and drawbacks, and, finally, will introduce our recent advances in developing QKD protocols, which use relativistic principles to avoid limitations of conventional approaches. 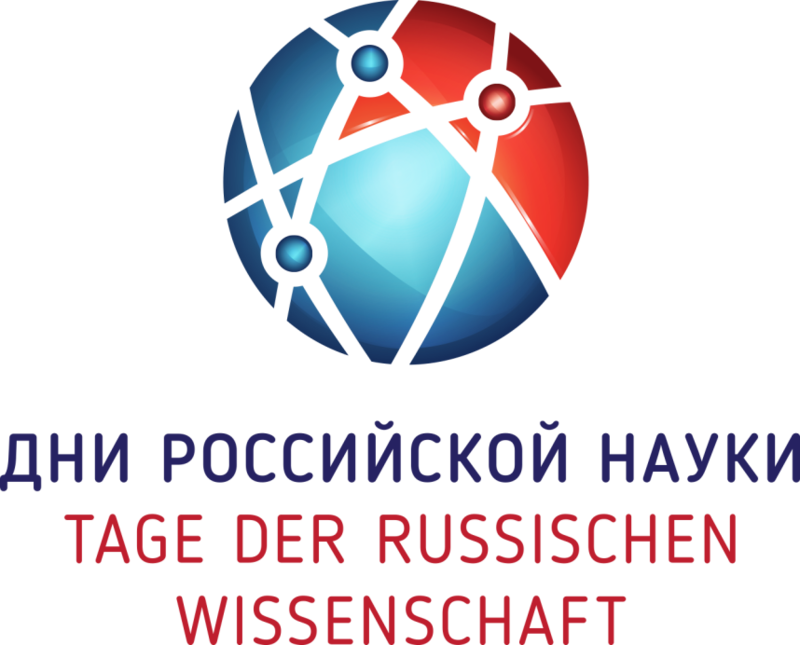 PhD, Federal Research Center “Computer Science and Control” of Russian Academy of Sciences, Moscow Institute of Physics and Technology, National Research University Higher School of Economics. Research Interests: artificial intelligence; intelligent robotics; path planning, path finding; multi-agent systems. We will talk about the main challenges of modern robotics that come on the way of making robots more smart and intelligent, e.g. capable of long-term autonomous behavior in complex dynamic environments. will be given. A new method utilizing prioritized approach will be presented. This method, unlike many others, do not constrain robots to cardinal only moves but allow them to move into arbitrary directions thus achieving shorter paths and decreasing mission completion time. Additional topics such as priorities assignment and re-planning will be also covered. Researcher at Microstructuring and Submicron Devises Laboratory, Institute of Physics and Technology of the Russian Academy of Science. Research Interests: Quantum technologies, quantum measurements, quantum information theory, entanglement and separability, dynamics of quantum systems, quantum channels, geometry of quantum states, quantum computers and computing, quantum dots, nanotechnology, quantum nanodevice modelling. Any quantum system inevitably interacts with the environment. The evolution of such open quantum systems is the subject of active research in quantum mechanics, quantum optics, quantum information theory. Under the assumption of weak coupling, the dynamics of an open quantum system is usually described in terms of the Markov kinetic equation with the well-known Gorini-Kossakowski-Sudarshan-Lindblad generator. However, if the environment is correlated or the interaction between the system and the environment is not weak, then the dynamics can exhibit non-Markovian behavior associated with memory effects. We present an overview of the basic concepts for Markov and non-Markovian quantum evolutions, and we also illustrate these phenomena in a simple collision model. We show that the sequence of controlled collisions between the system and the environment (composed of a set of quantum objects) naturally models (with arbitrary accuracy) any Markovian dynamics of the system under consideration in the so-called stroboscopic limit. We construct models of collisions with factorized environment particles that realize the addition of generators of divisible mappings and the multiplication of generators by a number. We propose and study the problem of modeling arbitrary quantum dynamics in the collision model. It is shown that a correlated environment can model a non-Markovian evolution. In particular, we derive the corresponding kinetic equations for non-Markovian dynamics realizing the indivisible quantum operation "universal HE". At the end of the lecture, we will consider some criteria for non-mirkness, including the newly developed time warping technique. Quantum entanglement is a special form of correlations which cannot be reduced to classical ones. It is quantum entanglement that underlies many interesting physical phenomena, for example, the teleportation of an unknown quantum state. Quantum entanglement is also useful in quantum cryptography, for example, in quantum key distribution without knowledge of measuring devices. However, in the process of transferring quantum entangled states to the recipients, ambient noise strongly affects the entanglement and can completely destroy it. We review the general properties of quantum channels associated with their effect on confusion. Introduces a class of channels that impose entanglement, the output of which is always confused. The opposite effect is provided by channels completely annihilating entanglement. In particular, we consider the behavior of the quantum entanglement of optical signals during amplification and attenuation. We investigate the persistence of confusion to local non-neutral noise and present a new class of stable entangled states. An overview of absolutely separating quantum channels is given, at the output from which the states are unobstructed and cannot be made confused by any unitary operations. At the end of the lecture, we will discuss the new results in estimating the classical bandwidths of quantum channels. The elementary unit of quantum computer - quantum bit. Its resemblance and difference from classical bit. Multiqubit quantum memory. The supremacy of quantum information processing compared to classical one. Quantum gates. The universal set of quantum gates. Quantum circuits. Quantum algorithms. Deutsch's algorithm. Current state of arts in quantum computation. Problems and perspectives. Classical walks. Quantum walks and their difference from classical walks. Example: controlled quantum walks of electrons in the system of semiconductor quantum dots. Quantum walks under influence of external noise. The transition of quantum evolution to classical dynamics with noise level increase. The influence of noise to mixing time.